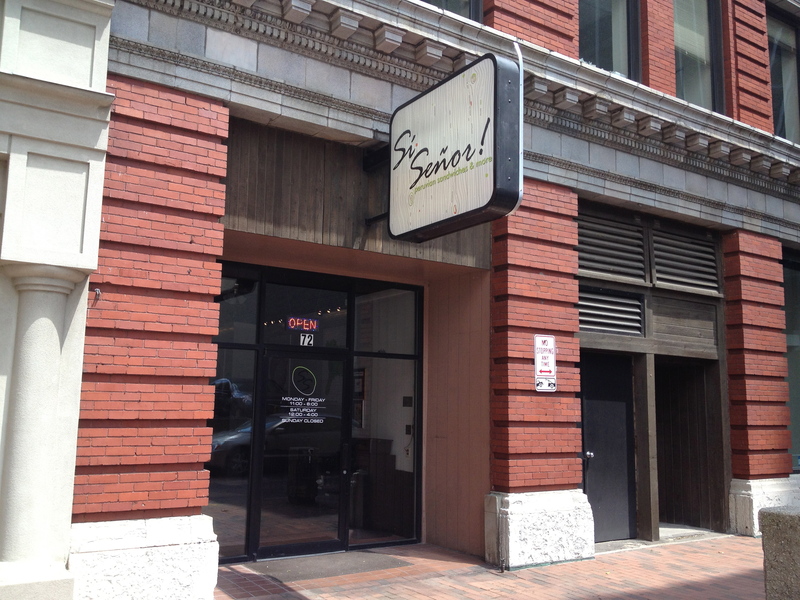 Si Senor, best known as a popular downtown sandwich shop, just relocated from Long Street to a new larger location on Lynn Alley. The “& More” in their name refers not just to salads and desserts but also to their weekly Peruvian specials. 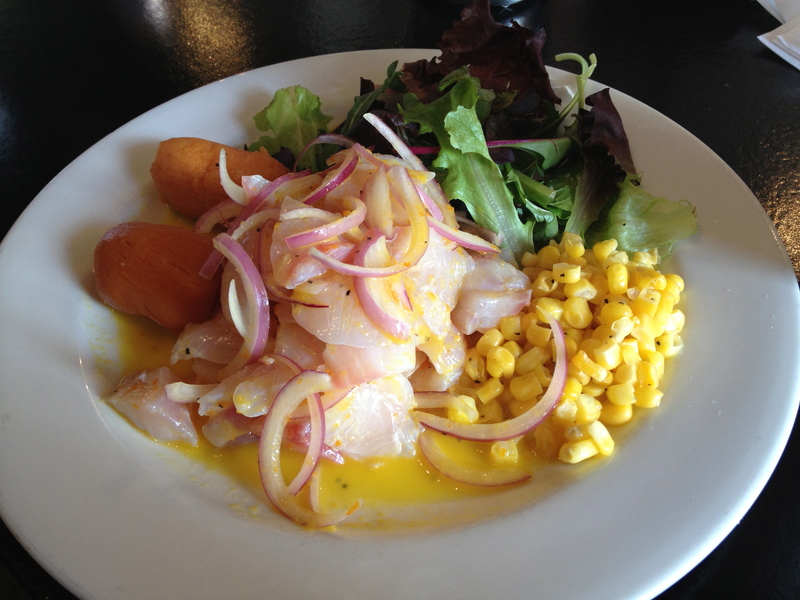 On Saturday lunchtimes, the owners offer Peruvian-style ceviche and a weekly Peruvian special. The ceviche, which comes in two sizes, is made with small chunks of tilapia fillet, sliced red onion, hot peppers, aji amarillo (peruvian yellow peppers) and lots of fresh lime juice. It’s served with sweet potatoes, salad and sweet corn. It’s unsurprisingly acidic – the lime juice is used to ‘cook’ the fish – but we didn’t find it too spicy. Weekend specials include dishes such as papa rellena, lomo saltado, adobo de chancho, arroz tapado and tallarin saltado con pollo y camarones. 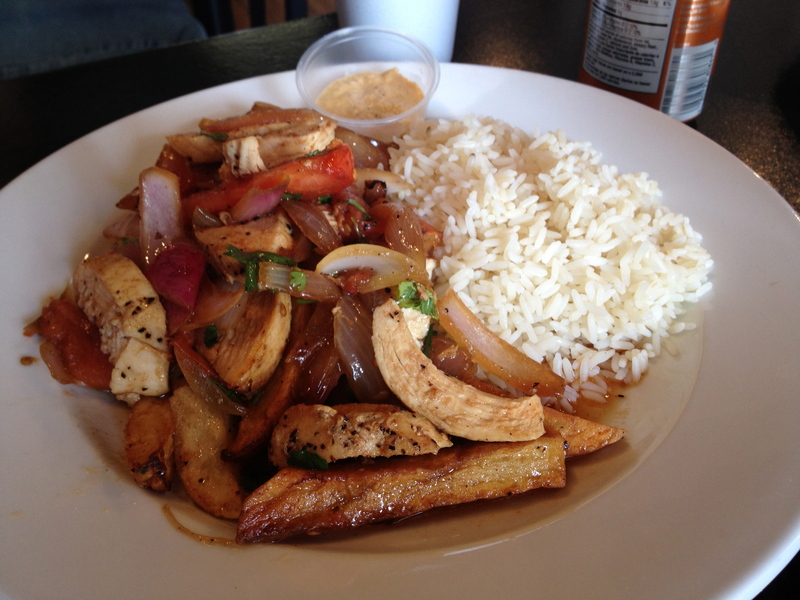 On our most recent visit the special was pollo saltado, a dish of sauteed chicken, onions, tomato, peppers mixed with soy sauce, Peruvian spices, and french fries, served with rice. As you can see from the photo below the French fries are stir fried into what amounted to a very hearty portion. We loved the caramelized onion and the flavors of this dish, though the chicken was perhaps slightly overcooked. Another Peruvian speciality is the empanadas. Available daily, these are filled with ground beef, onions, garlic, raisins and hard boiled egg. The crumbly pastry shell is topped with powdered sugar, which creates an interesting sweet-savory dynamic. 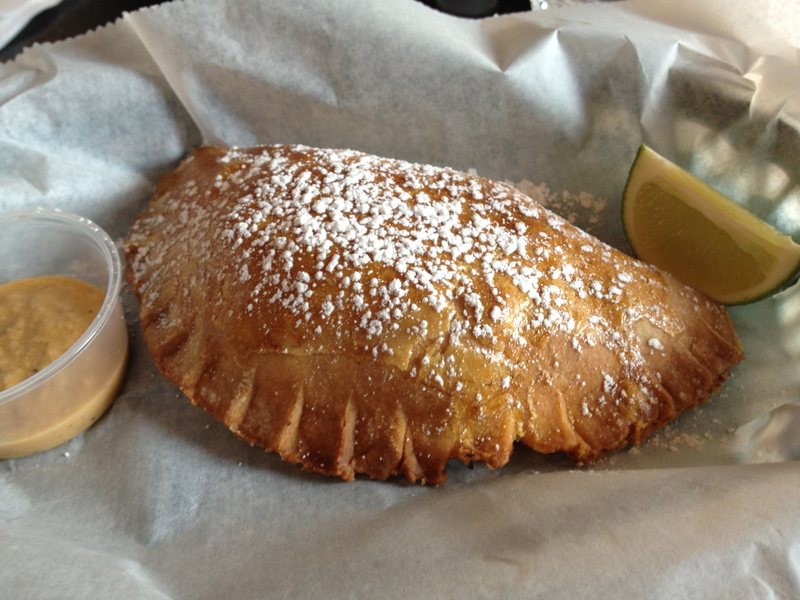 The empanadas are served with a wedge of lime and some house-made hot sauce, both welcome accompaniments. Overall, we liked these a lot. 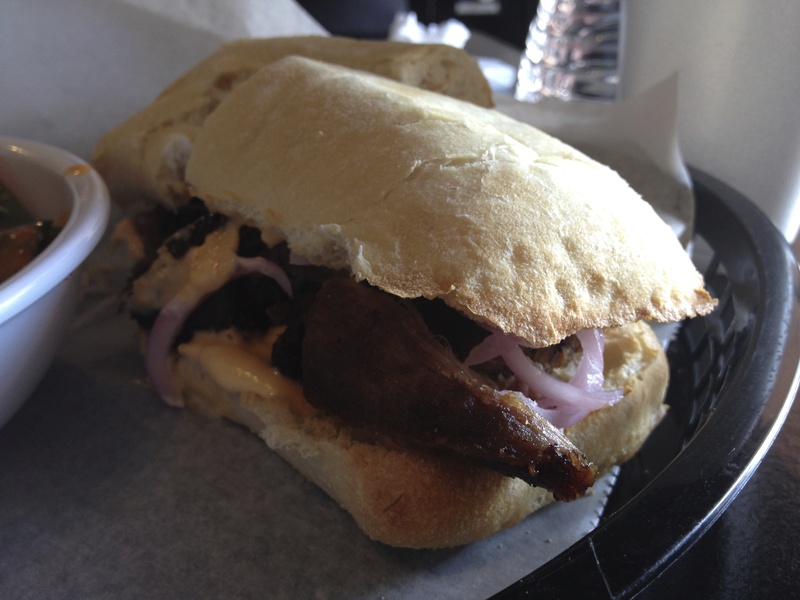 You’ll also see Peruvian influence in the weekday sandwich menu. Our recommendations would be the chicharron Peruano with chunks of fried pork, pickled red onions and sweet potato mayo or the jumping beef sandwich with roast beef, sauteed onions and tomato, melted cheddar and avocado mayo. On Fridays you’ll often find the popular fish tacos as a special. If you still have room for dessert, Si Senor offers some Latin sweets including tres leches cake and flan. You may also find alfajores, buttery sandwich cookies with a homemade caramel filling in the middle (manjarblanco or dulce de leche), coated in powdered sugar. This entry was posted in Peruvian. Bookmark the permalink.